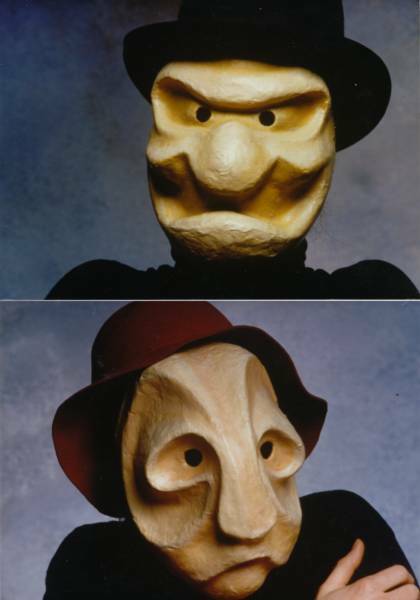 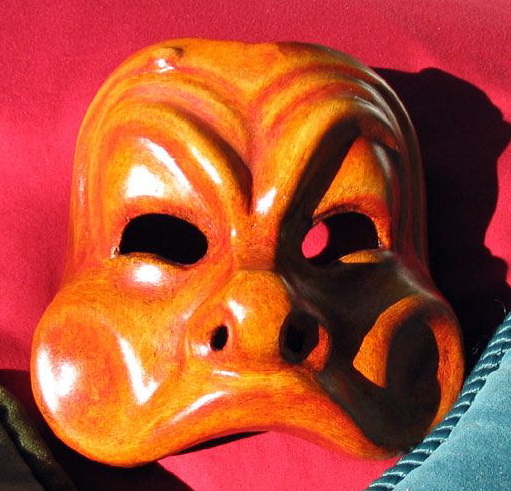 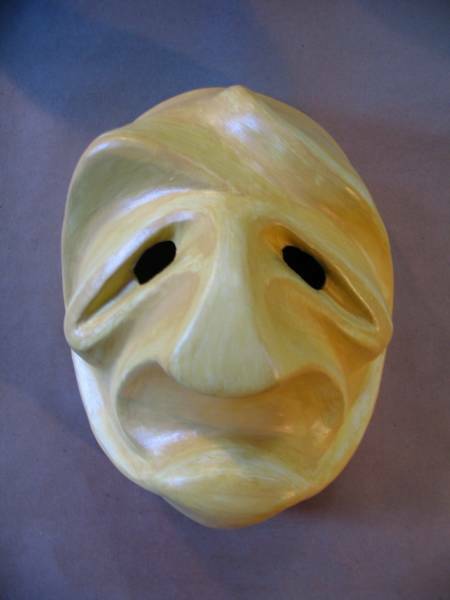 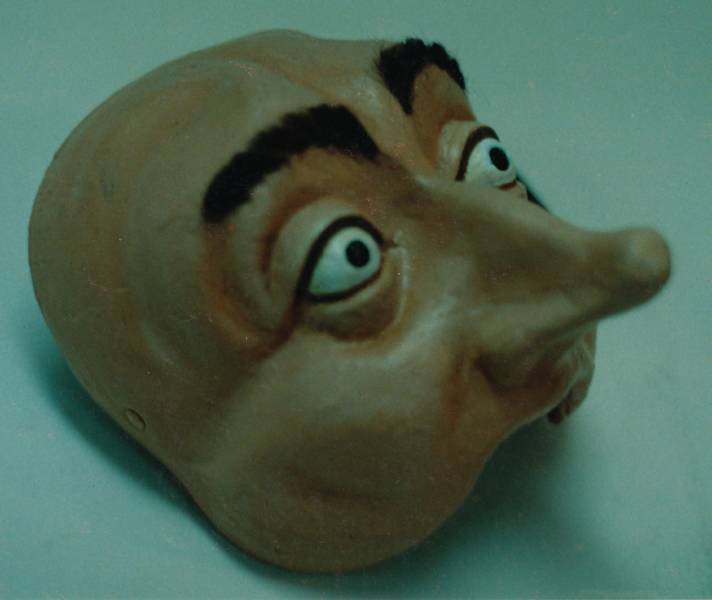 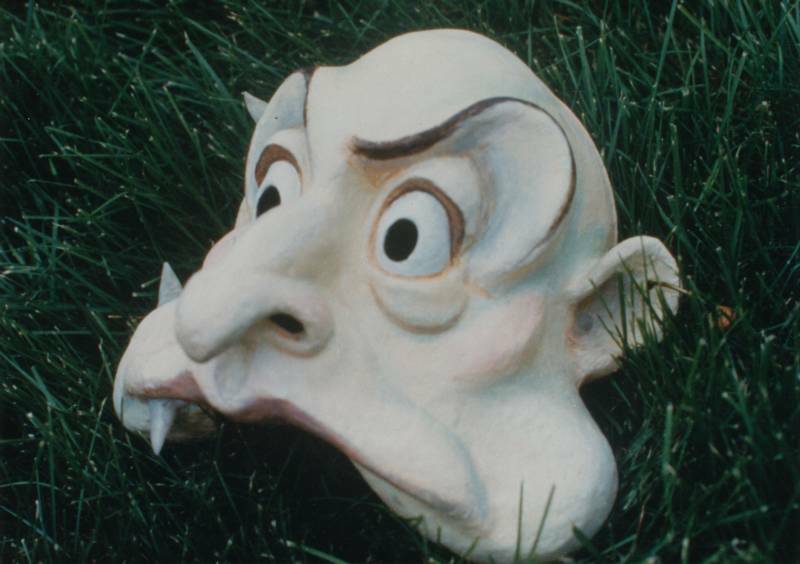 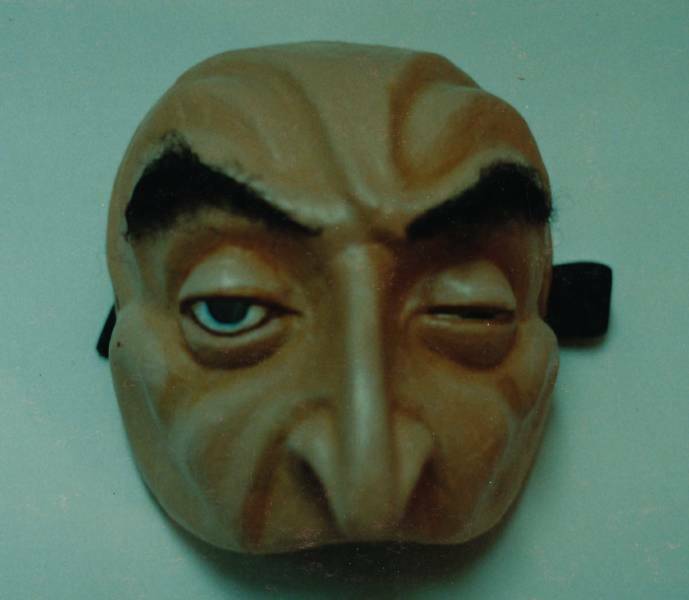 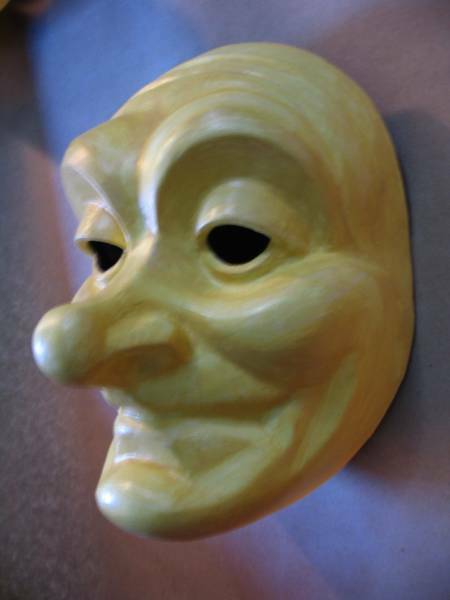 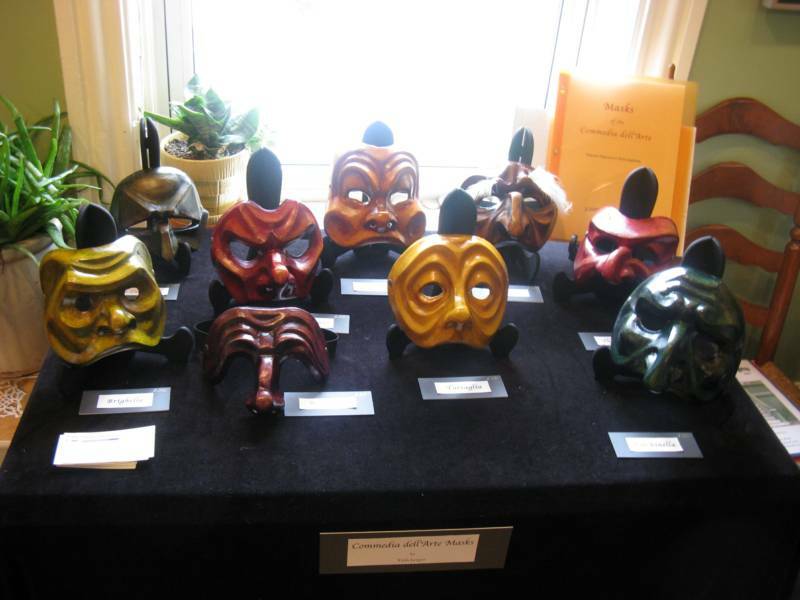 Though they have been used in several productions, this set of commedia masks were originally created for teaching purposes. 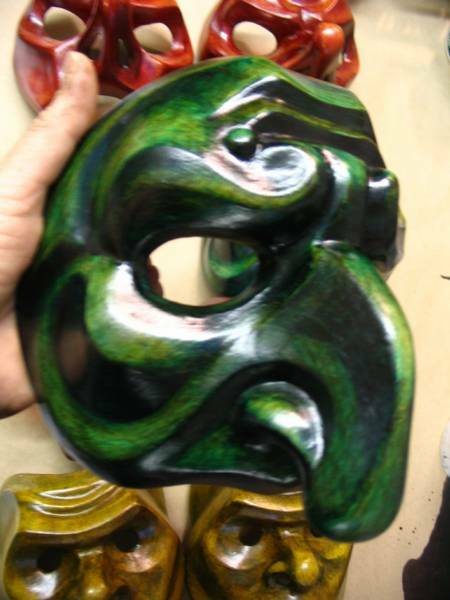 They are not only painted but have a finish added to give them an antique or leather-like look. 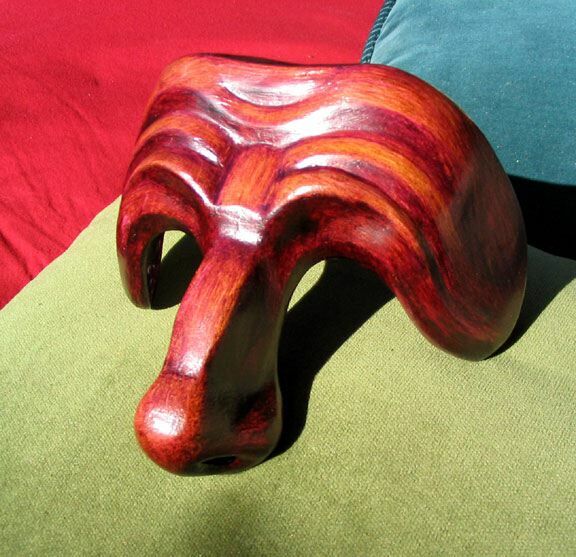 The following masks can be purchased individually or as a set (6 or more) with a 10% discount. 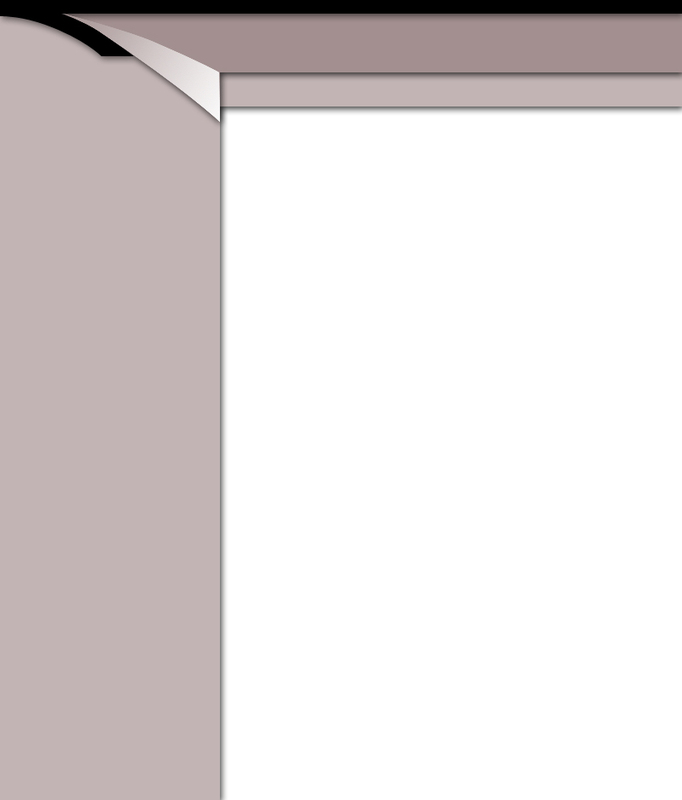 Some lead time may be necessary for construction. 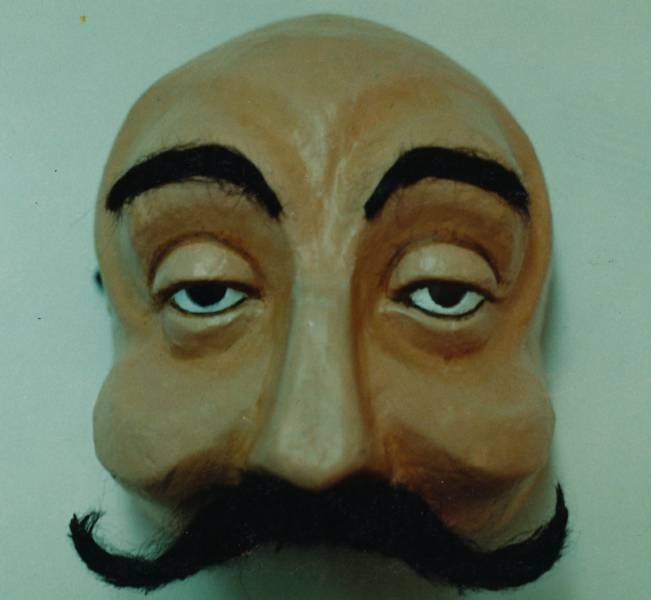 For more information please contact email address. 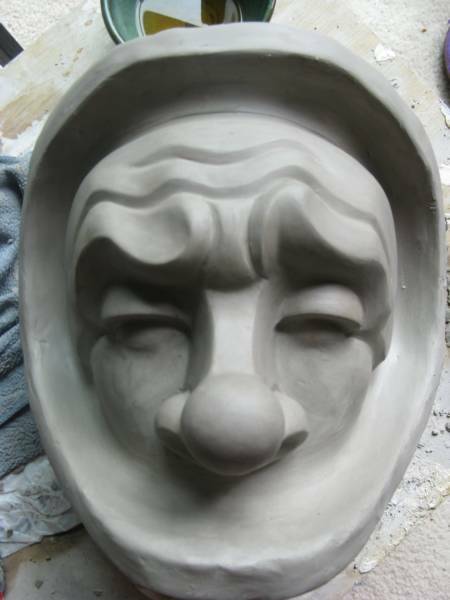 Commissions to create new characters are always welcome. 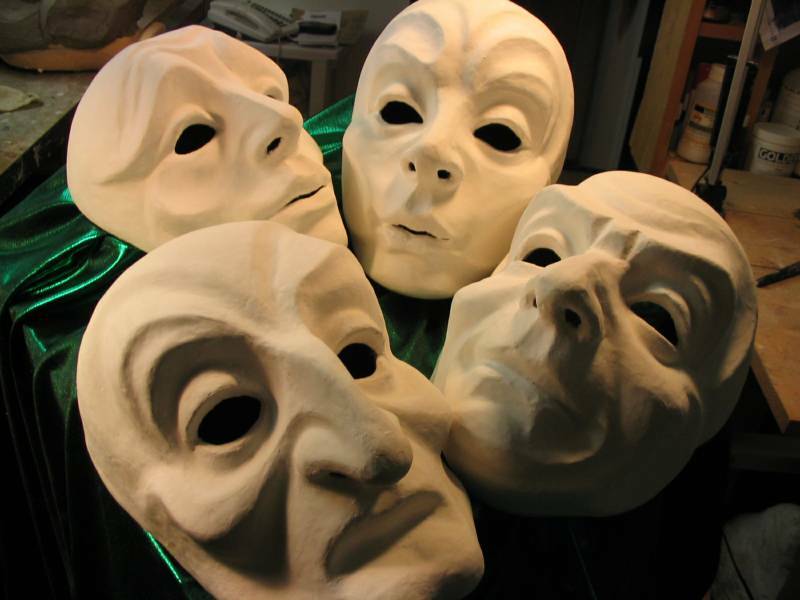 As well, new masks are in progress - such as the new Dottore (pictured on lower left). 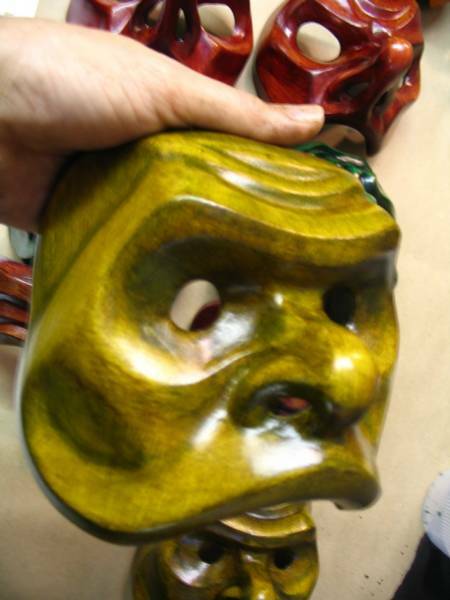 Love for the mask began with performance, with bringing life to the mask. 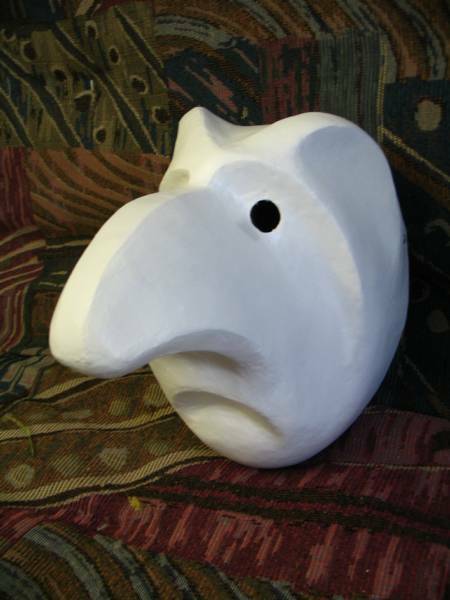 mask's sculpture changing its expression as the actor moves, has, I think, informed my approach to the work. 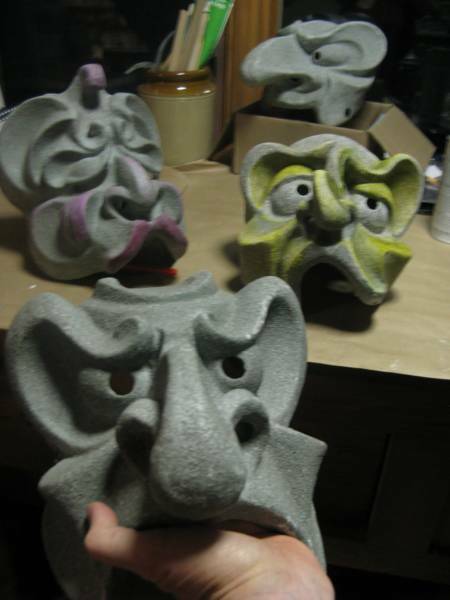 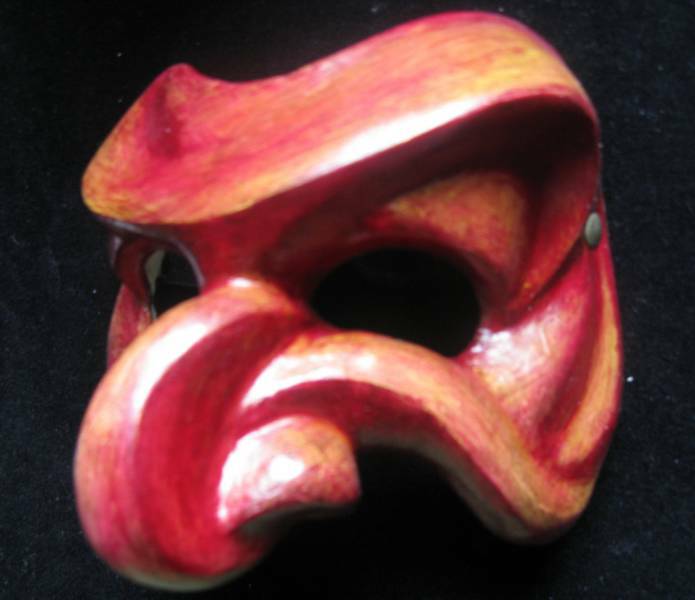 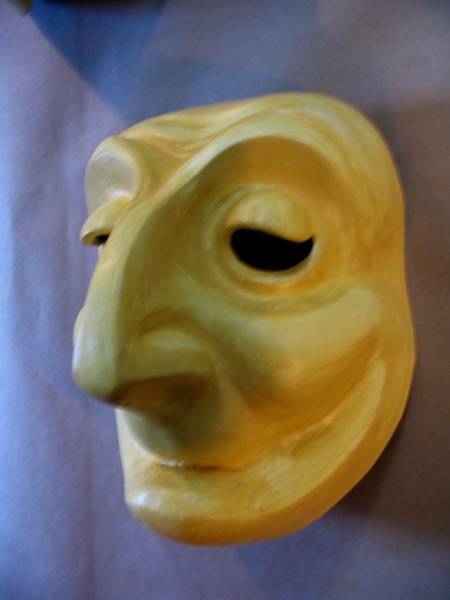 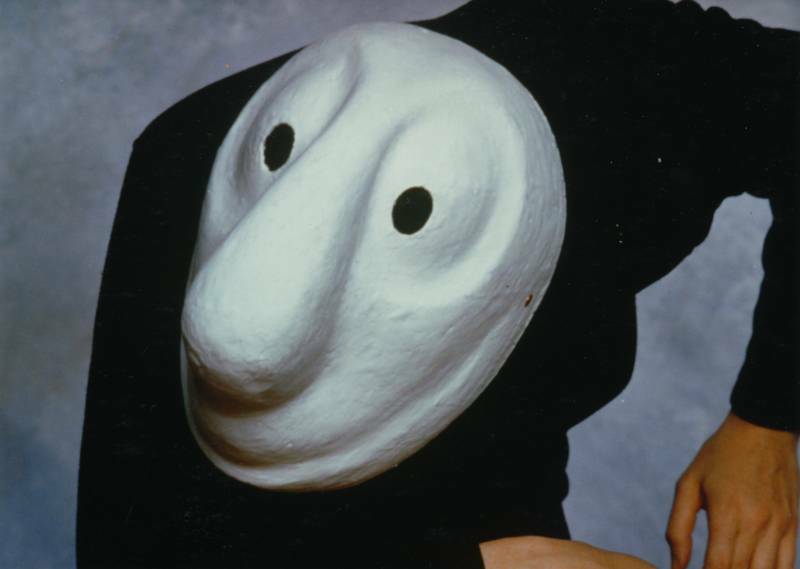 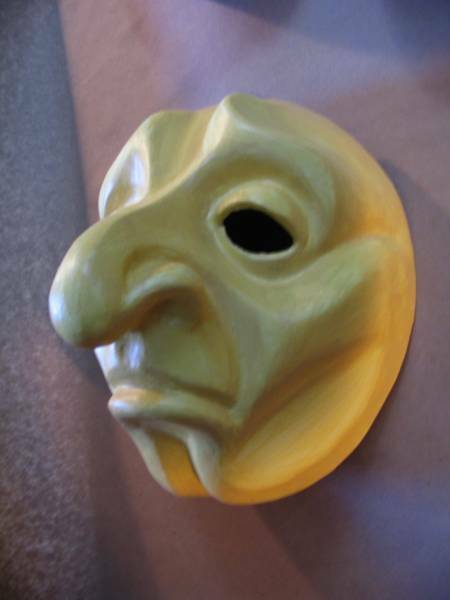 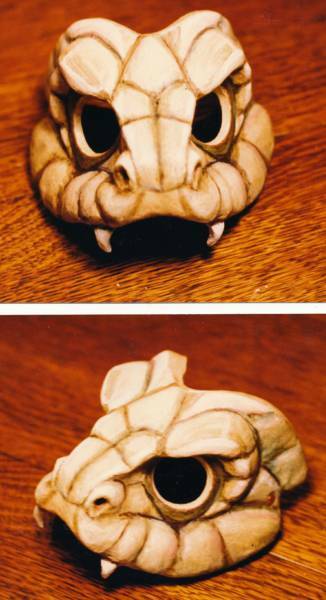 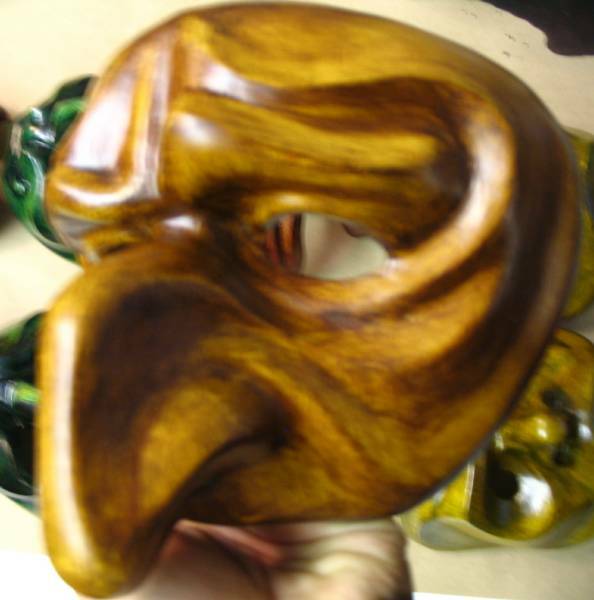 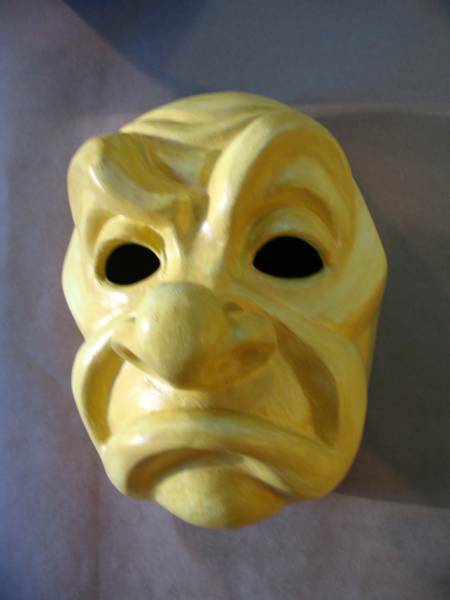 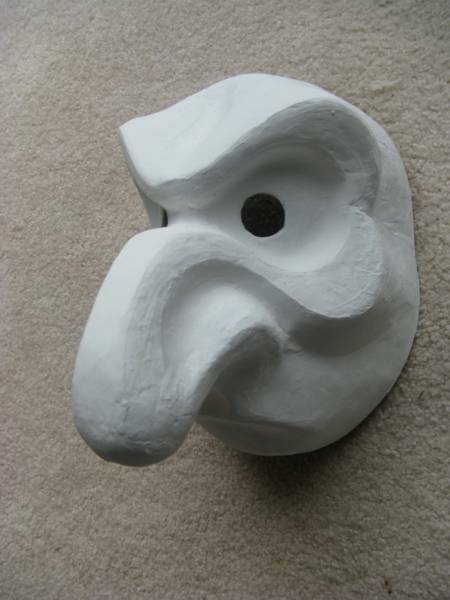 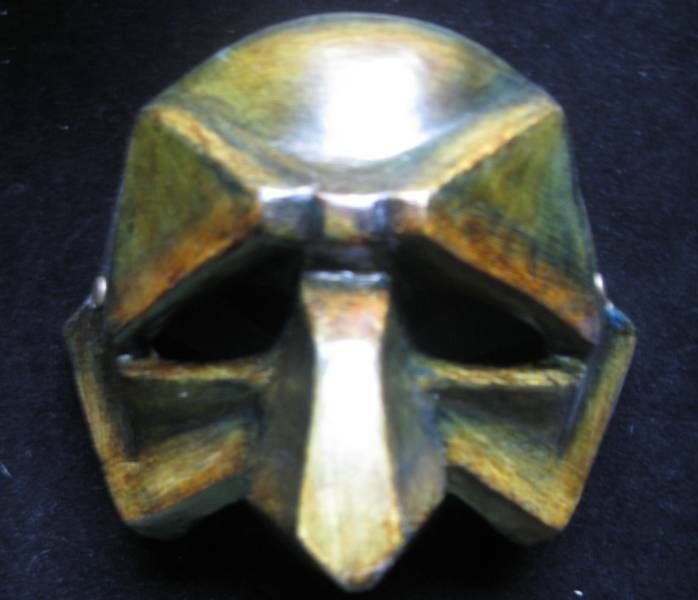 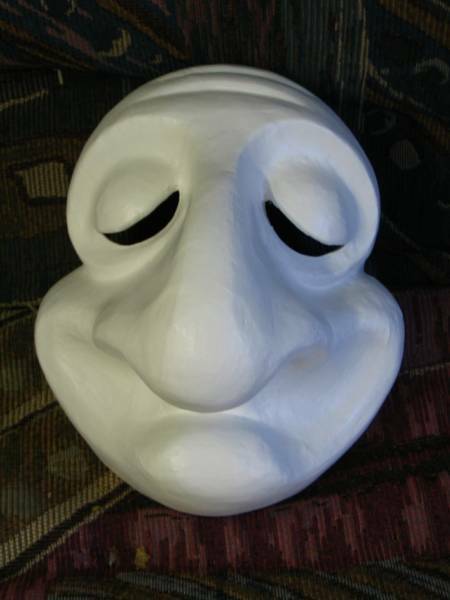 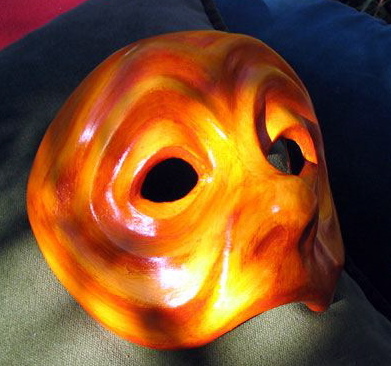 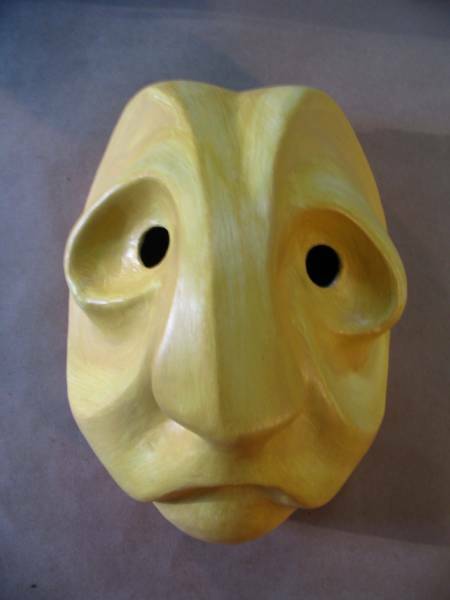 Over the years, I have not only created masks for my own work but also for many other theatrical productions. 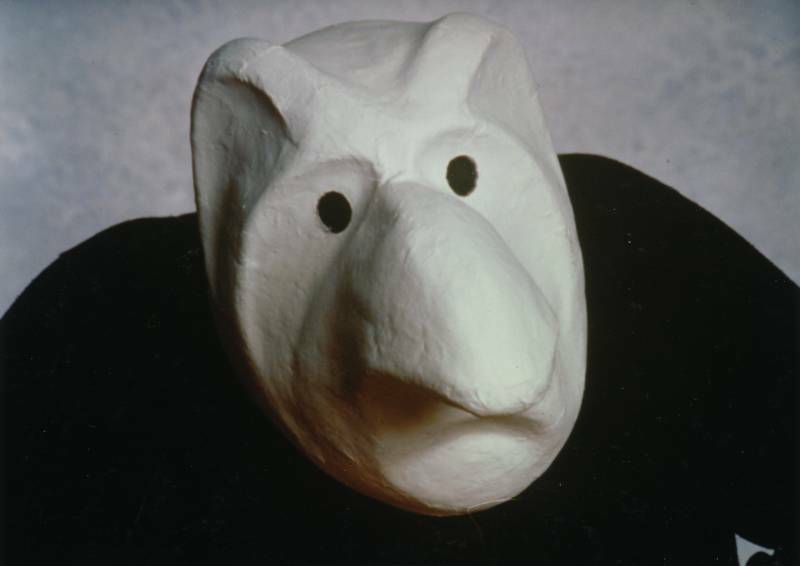 Though the style of mask may depend on the production, for the most part I begin the process by sculpting in clay and casting with plaster. 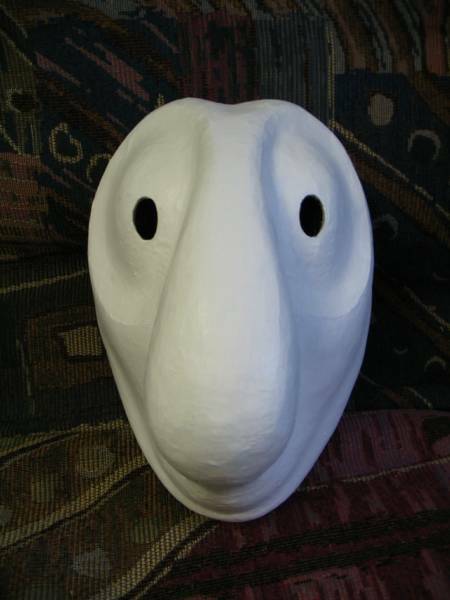 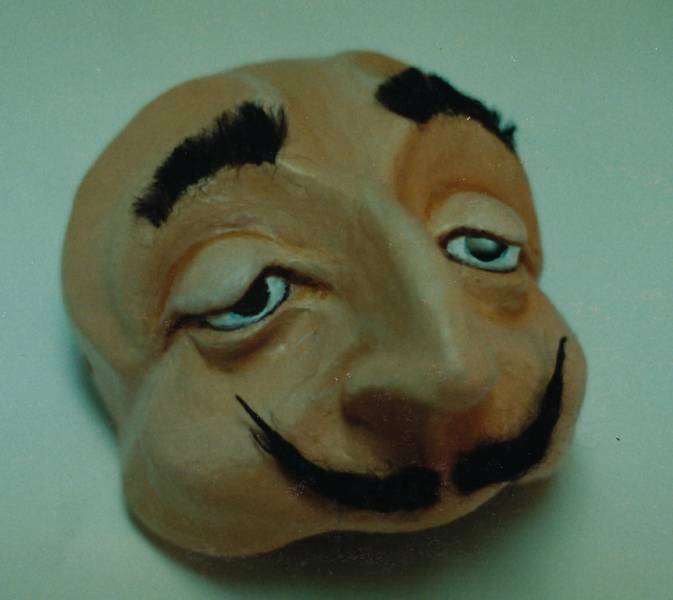 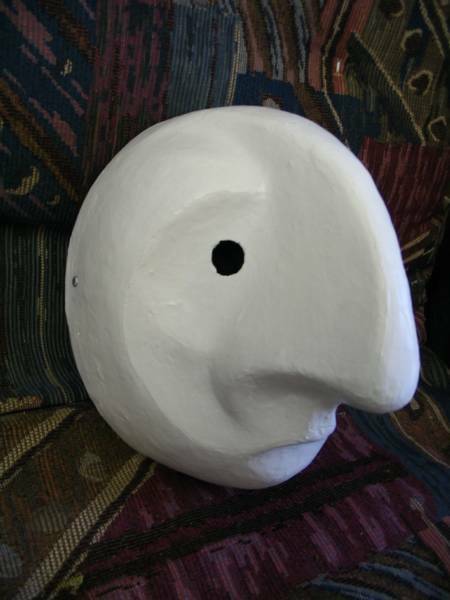 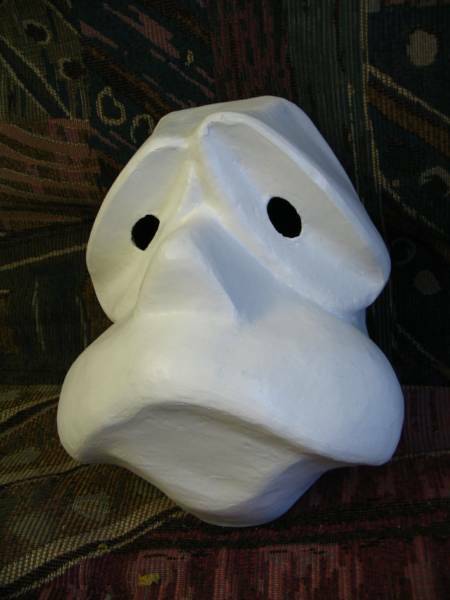 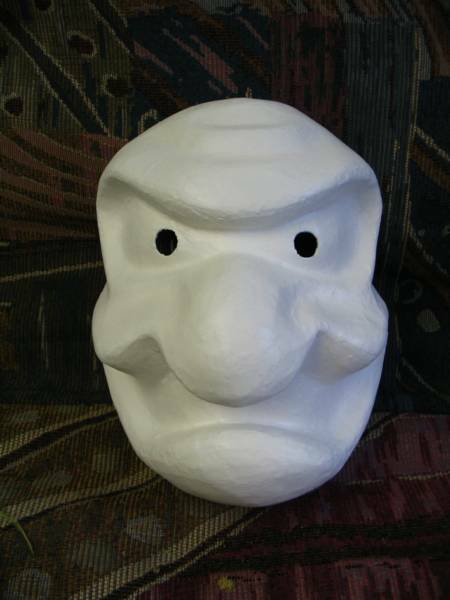 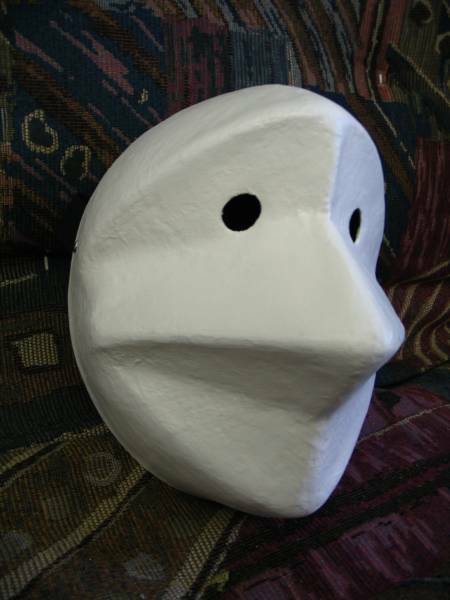 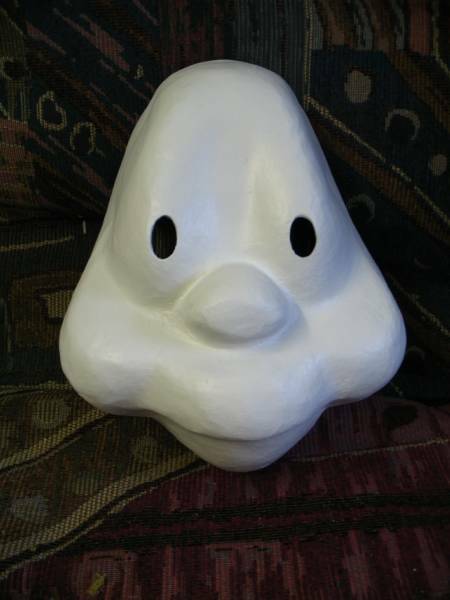 The mask is then constructed in the negative mold (generally, paper mache). 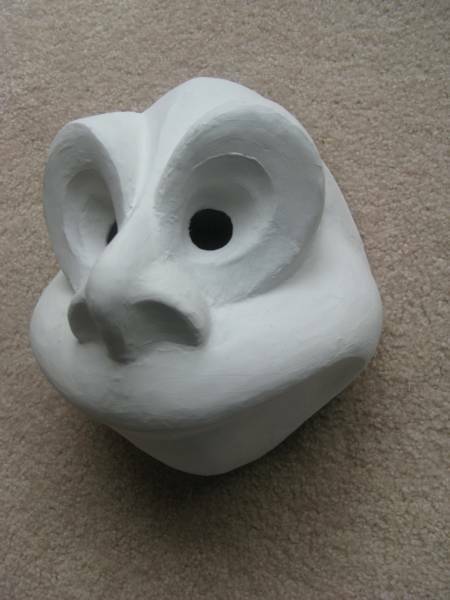 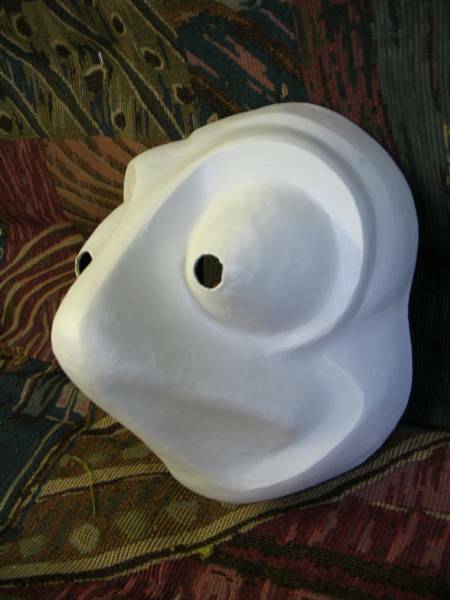 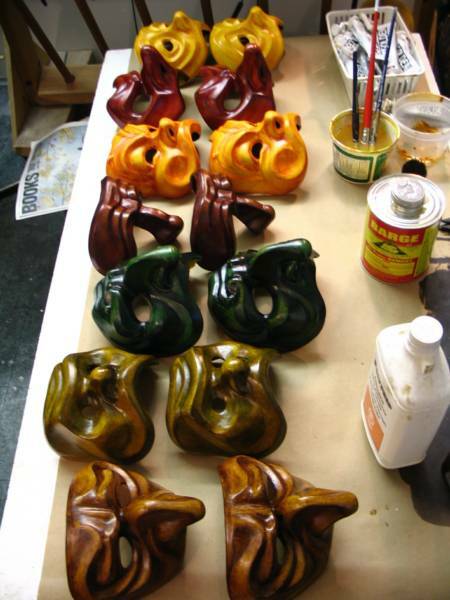 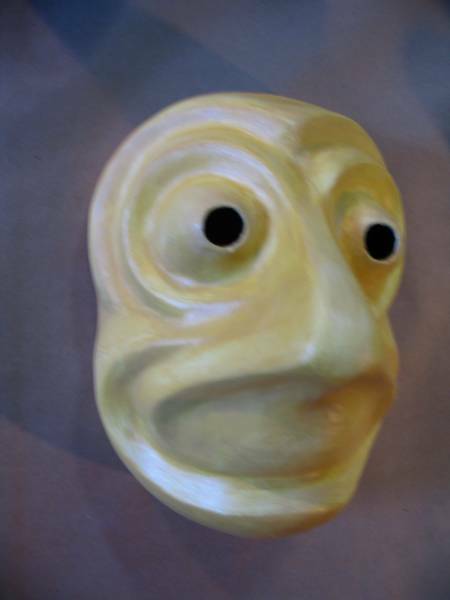 Once the mask has been pulled, glued down, trimmed and re-inforced, the surface of the mask is then filled with molding paste and sanded before painting and finishing. 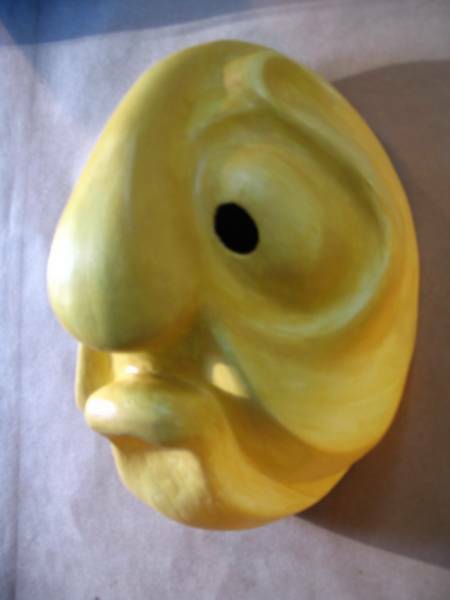 Inspired by the carnival masks from Basel Switzerland (used theatrically by such companies as Mummenschantz and Theatre Beyond Words) these oversized, more abstract masks have come to be referred to as 'larval' masks. 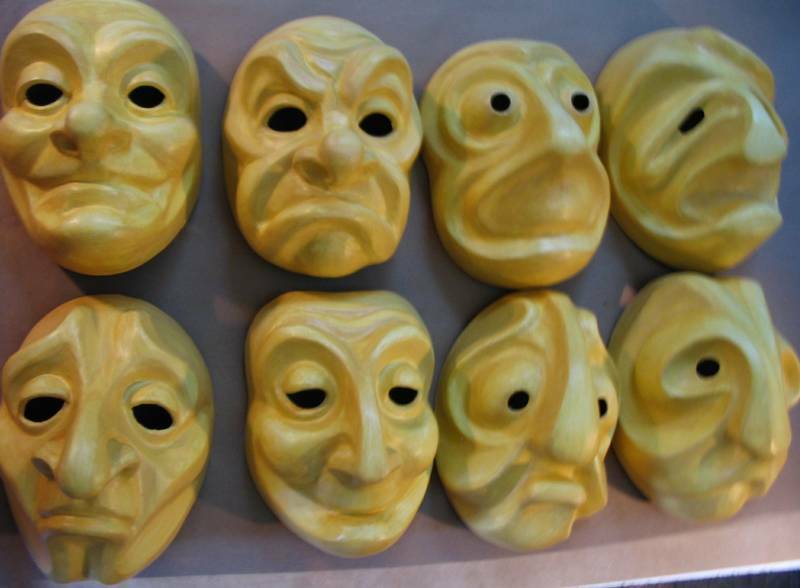 Worn on various parts of the head or body (not just the face) to create creatures as well as human characters, these masks are great for use in teaching mask technique and a lot of fun to perform with. 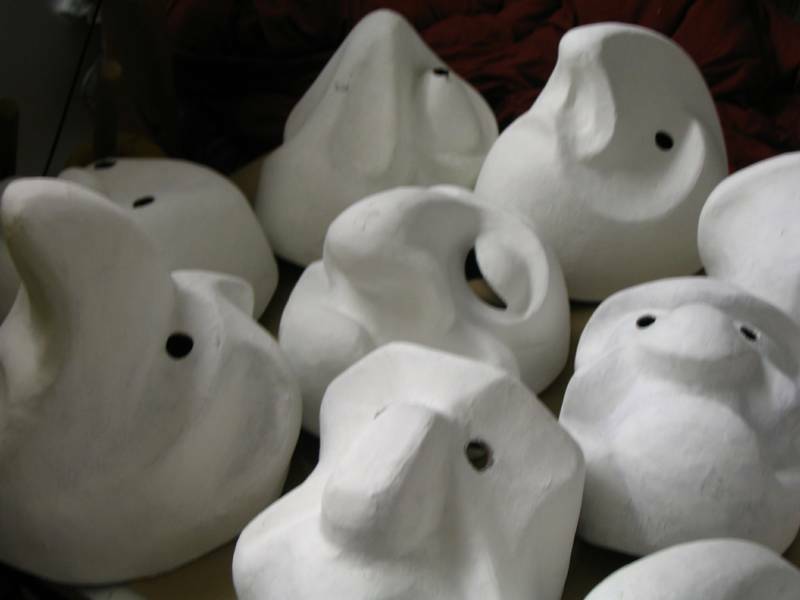 Though oversize, they are fitted with foam on the inside for a good fit and comfortable wearing. 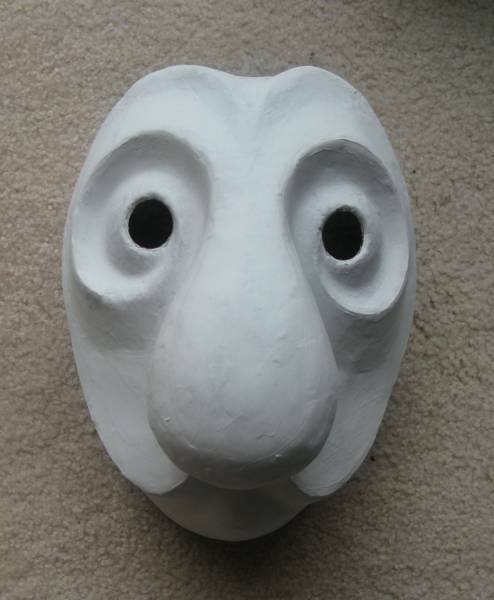 These masks are also available for purchase. 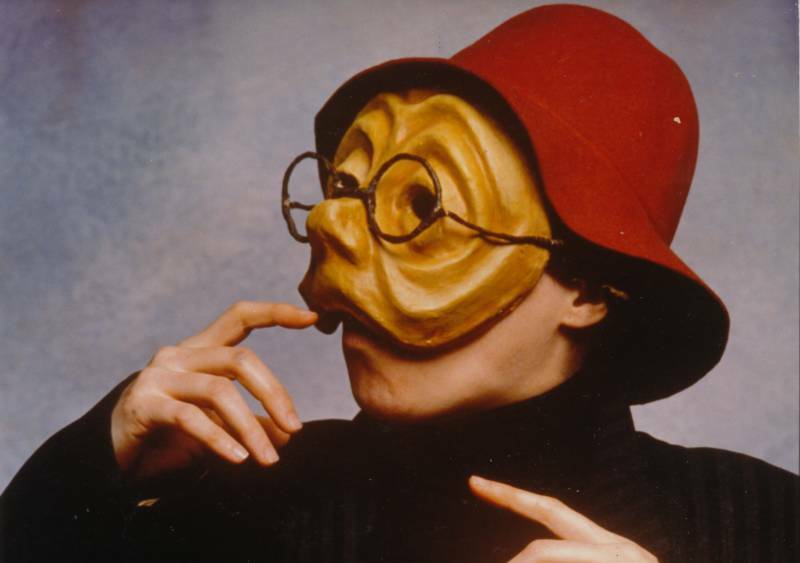 Covering the entire face, and therefore non-verbal, these masks are great for learning the body's relation to the animation of the mask. 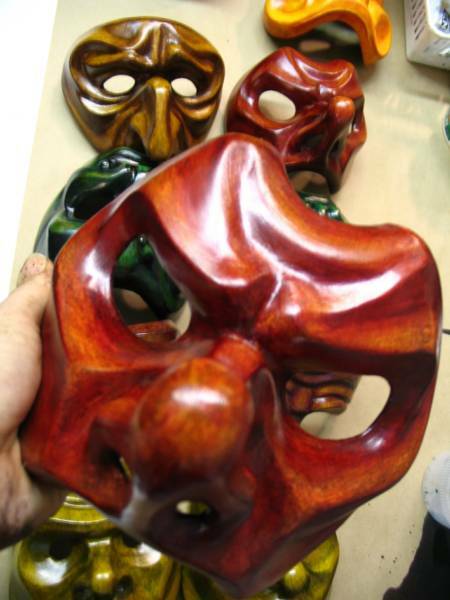 They allow for exploration of contrasting characters through their rhythms and physicality. 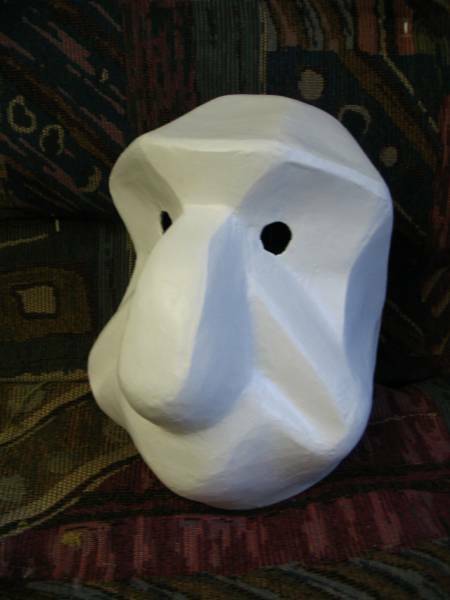 More 'humaniod' than the larval masks, but still keeping some of the rather cartoon-like quality seems to make them easily accessible particularly in a student learning situation.